Two Hills Vineyard and On Your Left Wine Company are owned and operated by Craig Lea and his wife Cristie. Craig is a fourth generation Californian born in Los Angeles and raised in a small town midway between San Bernardino and Palm Springs. The family’s roots are in Northern California in Lake and Sonoma counties (his great uncle Clarence represented the 1st congressional district during the early half of the last century). Believing that education is the key to success, Craig spent a little more time in college than most. He received his undergraduate B.S. degree in Pharmacy from the University of Arizona and then went on to earn two Master’s degrees, one in Health Administration from U.S.C. and the other a Master’s in Business Administration from Loyola Marymount University. After practicing hospital pharmacy for several years, Craig decided it would be more fun and his talents could be better utilized by getting involved in the making of the medicines he had been dispensing. His first job in the pharmaceutical industry was as a sales representative and his territory included California’s Central Coast. Craig has vivid memories of his many drives up and down the 101. Born on those drives were dreams of growing grapes and making wine someday…but these lay dormant for many years. Craig strives to create his wines to be on the bolder and bigger side of the spectrum tamed with a persuasive elegance. Craig’s first experience with the fermentation sciences was brewing beer in his garage. Instead of bringing cookies or pizza to his hospital customers as was a common practice by others, Craig would arrive with a bottle of home brew. Reviews were quite good. Apparently he had a knack for creating beverages of some distinction. History tells us that such an aptitude is not unusual in pharmacists. You may be surprised to learn that both Coca Cola® and Pepsi Cola® were developed by pharmacists. Craig expects this tradition to carry on into his winemaking. Skipping ahead a few years, Craig and Cristie raised two children…Cassandra and Andrew. A 2004 road trip to visit California colleges for Cassandra rekindled Craig’s winemaking dreams as they traveled through the Central Coast. Several years later when Andrew decided on Cal Poly San Luis Obispo, Craig knew where his next adventure in life would be- within a few months he had researched the region, found a parcel and made a purchase. 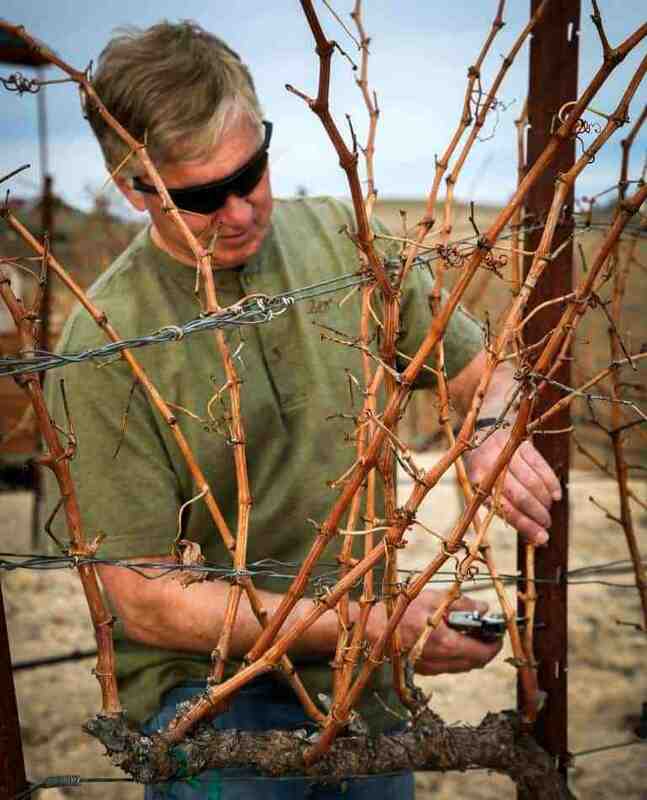 Craig’s belief in having a strong educational foundation for whatever you do immediately inspired his enrollment in the Viticulture and Enology certificate program at UC Davis. He completed the program in 2012. To gain much needed practical experience and to get an opportunity to apply some of his classroom learning Craig was fortunate to work alongside a few of the area’s star winemakers including Leonard Gelfand (Gelfand Vineyards), Carl Bowker (Caliza) and Kevin Jussila (Kukkula). Craig’s winemaking style is evolving and reflects many of the characteristics of his teachers and mentors. He strives to create his wines to be on the bolder and bigger side of the spectrum tamed with a persuasive elegance. Craig is an avid road cyclist and Cristie has completed several triathlons. Two Hills vineyard is nestled onto South and South West facing slopes of the Huerhuero Hills along the Northern border of El Pomar District. This is an uplifted area rising 1,258 feet above sea level along the La Panza–Huerhuero Fault. The hillsides are underlain by granitic rocks, sandstones and calcareous shale fragments with lime deposits and eroded sediment overlaying the surface. The soil series is Linne-Calodo and is primarily alkaline. 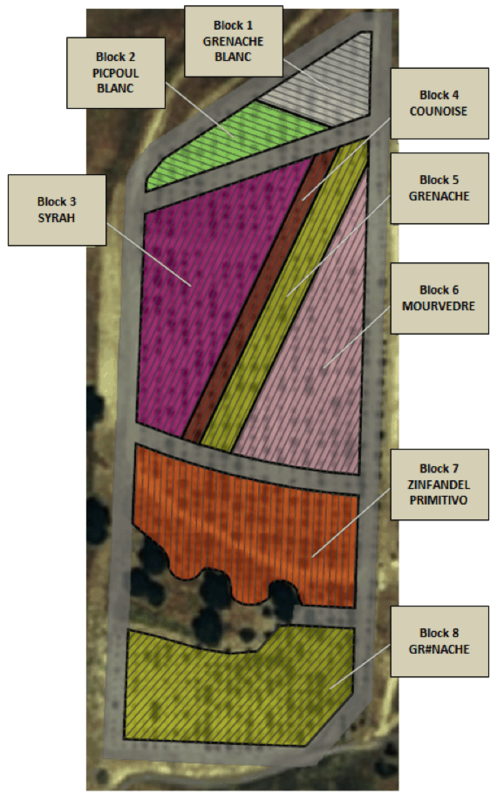 The soil texture is clay and sandy loams of shallow to moderate rooting depths with modest nutrient levels and low to moderate water holding capacity creating a low to moderate vigor vineyard site that can produce intensely flavored and aromatic fruit. The slopes present a notable challenge for vehicles, bikers and walkers alike with a grade of 11 to 28 percent. Our vineyard site experiences a pronounced marine influence with an annual average rainfall of 11 inches. Although cold air drains northward off the higher slopes of the La Panza Range into our area at night the general topography of rolling hills and terraces makes frost and cold air ponding rare.